Loneliness is becoming an epidemic in our culture. In an increasingly digitally-connected world where we have thousands of "friends" and "followers" on social media, can be reached 24/7 by cell phone, text, email or messaging and where we might appear to be happy, healthy and carefree... millions of us are feeling isolated and alone. In his recent book Them: Why We Hate Each Other And How To Heal, U.S. Senator Ben Sasse cites a study from Brigham Young University involving data from 3.5 million Americans over the course of nearly four decades. The study revealed that lonely, isolated people are around 25 percent more likely to die prematurely from people who are not lonely or isolated. There is a physical toll that takes place when people experience persistent loneliness, a toll that former Surgeon General Vivek Murthy glumly remarked upon when he said, "The data is telling us... that loneliness kills." I was having a heated discussion with a friend of mine several years ago about who gets "to go to heaven," when I finally said something that drove him to a frustrated silence. The whole discussion started over a divergence in our views about how God rescues those whom God loves. You see, my friend had a pretty narrow understanding of how that worked, including the kinds of words that needed to be said in order to achieve salvation and eventual entry into heaven. As the conversation grew more pointed, I found myself having to defend my beliefs, which were grounded in a bit more mystery than my friend's. I favor a view that leaves the saving work up to God, who is infinitely more grace-filled and merciful than me. My vision for what the Church could be has been shaped over the years through painful experiences, difficult practice, frustration, and insurmountable challenges. But it's also been shaped through joy, triumph, and dramatic transformation. Everything began to change for me twenty-six years ago when I went back to church after a self-imposed and angry five-year-long hiatus. I was understandably on edge that day. After all, I'd sworn I'd never darken the door of another church as long as I lived. I had given up on the God I'd been presented with in my youth. That God was an angry, vengeful deity, bent on enforcing rules, and nearly devoid of the love and grace that Christians claimed were a part of their religious beliefs. I've been reading an engaging new book by pastor Andy Stanley over the past couple of weeks. The book is entitled Irresistible: Reclaiming The New That Jesus Unleashed For The World, and it's is so engaging, in fact, that I am recommending it here in my Daily Devo. Stanley explores the looming crisis that the Christian Church in America--a crisis that is evident by declining membership, and church attendance among younger Americans. Essentially, Stanley asserts, we are in the middle of a "Post-Christian" culture--a culture where a growing number of people have a basic idea of the language and tenets of the Christian faith but have rejected them. But interestingly enough, what they haven't rejected is Jesus himself. Jesus remains more popular than ever. His teachings of love, inclusivity, God's preference for the poor, downtrodden, marginalized and forgotten resonate with more and more people. Re:Solve - Week Four: "Intimidation"
Are you at a point in your life where you need some direction or a new vision? Would you like to learn how to stop trying to figure all that on your own and discover how to align yourself with God's vision for your life? With God's direction and purpose? 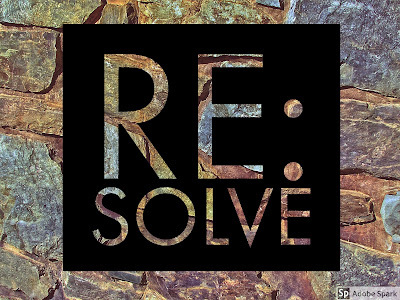 That's at the heart of this sermon series, Re:Solve: Aligning Yourself with God's Vision. We'll be spending the next several weeks studying the Old Testament book of Nehemiah--the memoirs of a man who sought to be aligned to God's vision and pursued it with all his heart. Today we'll be exploring another important step toward aligning your life with God's will... what to do when you face obstacles as you pursue your God-given vision. Before we jump into our text today. I thought it would be interesting to talk about the following first: Hershey's Chocolate, Dr. Suess, Einstein, Stephen King, Oprah, and Michael Jordan. They all have something in common--let's see if you can pick up on it. Today we'll conclude our exploration of a single passage of Scripture from the Gospel of John 12:1-8: the story of Mary anointing Jesus feet in the middle of a dinner party. This week we're exploring a single passage of Scripture from the Gospel of John 12:1-8: the story of Mary anointing Jesus feet in the middle of a dinner party. Today we'll continue exploring a single passage of Scripture from the Gospel of John 12:1-8: the story of Mary anointing Jesus feet in the middle of a dinner party. One of my favorite moments from the New Testament is found in the Gospel of John 12:1-8: the story of Mary anointing Jesus feet in the middle of a dinner party. 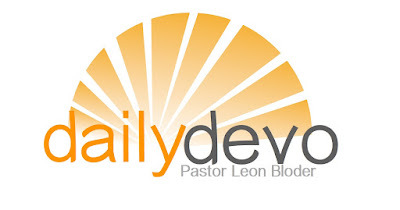 This week I thought that I would use the devos each day to examine this passage of Scripture. I don't often do this, but for some reason, I feel like it's right for this week. Today we'll be exploring another important step toward aligning your life with God's will... having a clear vision. But before we dig into our text, let's take a moment to talk about Walt Disney, Bricklayers, and Helen Keller. If God Feels Far Away, Who Moved? "If God feels far away from you right now, who moved?" I admit that I've used that question in the past during sermons or talks. It's a pretty church-y question, but there's some depth to it, despite that fact. The question implies something about the unmoving and annoyingly present presence of God all around us. It also implies that whatever we perceive as the absence of God is most likely formed and informed by our own inability to see God at work around us. And so many Christians spend all of their energy trying to perceive God on their own terms. They lift up all sorts of man-made doctrines, dogmas, rules, and regulations that they falsely believe will usher them into the presence of the Divine somehow--as long as they can adhere to them. Artist Stefan Sagmeister once reflected on how in his hometown in Austria there was an annual event called the Bregenzer Festspiele. The Festspiele featured the performance of operas, concerts and theater productions, which were presented from a floating stage on Lake Constance. One year, an Italian production company designed the stage set for a performance of Mozarts Magic Flute. The designers created a scale model of the stage, along with the drawings and instructions, and then left for Italy. When they returned, the Italians discovered the set was perfectly created as they had specified, with one exception. They were flummoxed by the presence of several large "blobs" on the stage---none of which were part of the original design. What they eventually realized was that the contractors had so meticulously followed the plans they were given, they actually recreated the blobs of glue that were visible in the model. Yesterday I shared the importance of always being able to move toward forgiveness as a more excellent way of living and moving in the world. I also shared that because we have been forgiven (repeatedly) by God, we are in turn called to share that same mercy to others--even to those who continue to wound us. Today I'd like to share some steps that you can take in order to make forgiveness a reality. I originally discovered the basic idea for this from the work of Cornelius Plantinga, Jr., and I modified it a bit. First, don't let the offense come between you any longer. Whatever has happened is in the past, and it needs to stay there. It has no place in your present. The truth is, you may not ever laugh with this person again... or they may never be a part of your life going forward, but it's done.